Oscar, Program Director of Chinaccelerator, is a “Full Stack Innovator” with expertise ranging from product development to corporate strategy. 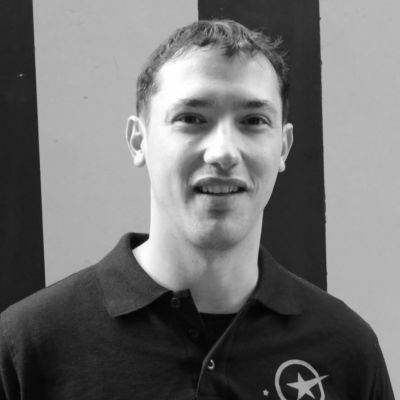 He leads the Chinaccelerator program in Shanghai from recruitment to program delivery, and oversees development of the Chinaccelerator ecosystem of mentors, founders, investors, and partners. Oscar has experience as an entrepreneur, management consultant and early stage investor. A Telecom MEng and Biomedical PhD dropout, Oscar began his career 14 years ago as an R&D engineer working in Reseach Center for Ericsson and Telefonica, until discovering Business Model Innovation and transitioning to the world of startups. After several years working for a MedTech Startup, Oscar moved to China in early 2008. Since his arrival to China, he has been involved in innovation: product launches, go-to market strategies, venture capital financing and M&As for startups and multinationals.